FRESNO, Calif. (KFSN) -- The California Highway Patrol is showing the dangers of distracted driving. 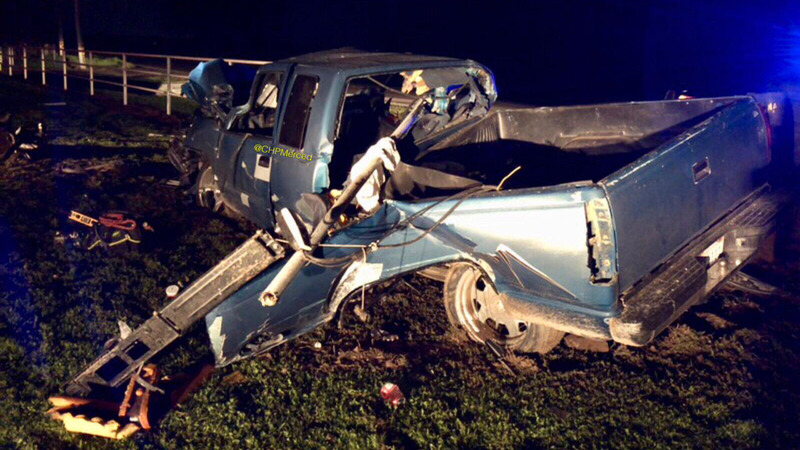 The Merced office shared several photos of a wrecked truck. Officers say the driver was momentarily distracted, sending and receiving text messages on his cell phone. In the few seconds, he took his eyes off the road, the truck drifted out of the lane, overturned, and slammed into a metal fence. The crash happened Tuesday on Turlock Road just west of Highway 59, near the town of Snelling. Despite severe damage to the truck, officers say no one was injured in the crash. April is National Distracted Driving Awareness Month. Law enforcement agencies throughout the state are using this month to both educate drivers and focus on violators with zero tolerance enforcement. In California, there were 85 people killed in collisions in which distracted driving was a factor in 2015, the last year for which data is available.